Rebels & Redcoats II out now! 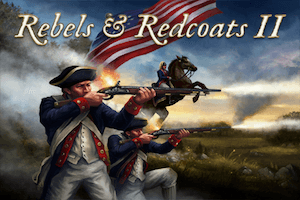 Rebels and Redcoats II is available now on iPhone, iPad & Mac! Rebels and Redcoats II recreates the battlefields of the American Revolutionary War. The war began in 1775 when the American colonies rebelled against the British Empire, declaring their independence in 1776. In the following years, Britain tried to end the revolt and recapture the American territories. The rebels however had support from Europe, with France and Spain later joining the war as allies to their cause. A decisive American victory at Yorktown in 1781 broke the British resolve and was a catalyst in starting peace negotiations. The war ended in 1783 with the signing of the Treaty of Paris and global recognition of the sovereignty of the United States. 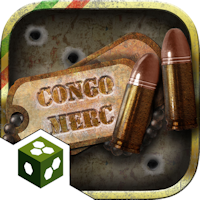 Congo Merc 1.1 Update available now! We’ve just released update 1.1 for Congo Merc on iPhone & iPad which fixes an issue with the game rules not displaying correctly. 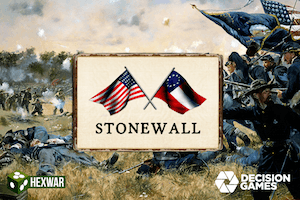 Civil War: Stonewall available now! Civil War: Stonewall focuses on the Battle of Kernstown, which took place on March 23, 1862. This is the first in a series of games from HexWar to be based on the ‘Great Battles of the American Civil War’ board games, which started with the classic game ‘Terrible Swift Sword’. This series recreates the significant battles of the American Civil War. Each game in this series is a grand tactical, regimental-level simulation of a single battle, enabling players to test their generalship under the same challenges faced by the Union and Confederate commanders. We’ve just released an update for Tank Battle: Blitzkrieg on iPhone & iPad that adds two new purchasable campaigns to the game! The new campaigns are the 6 Mission ‘Hold!’ Campaign playing as the French and the 6 Mission ‘Panzerkrieg!’ Campaign playing as the Germans. If you don’t have already have Tank Battle: Blitzkrieg, you can buy it for iPhone & iPad on the App Store for just $1.99!